Well lets make the newsletter a bit shorter this time but keep it more uptodate. First of all, if you downloaded Fridays maps, there was a bug in the overviewmap content to be seen at all resolutions in Basecamp. (the bug didn't affect the map view on the GPS devices, nor in Mapsource or Qlandkarte GT). This got fixed if you downloaded the maps on Saturday or later. So if you wonder about straight motorways appearing twice - there a gone again now. However a nice feature - of the background changing colour slightly depending on the resolution is gone now. Also the typfiles needed to be changed again (0x4b is now again the background). For Mac OSx downloads, I renamed the downloads from COUNTRY.gmap.7z to COUNTRY_macosx.7z. This is only the name of the packed download. However if you did make a mistake and extracted the content not using "extract here" but "extract to "COUNTRY.gmap" the problem of macosx making automatically a kinda broken gmap installation package out of it is solved now. So if you unpack now to "COUNTRY_macosx" - then it will be recognized as a standard folder, which you can access normally and not recognized as a package. Since Geofabrik is offering a Peru country extract, Peru is available for download too now - so the most touristic countries in South America now all got their own country extract - less need for the full South America continent map download. Also in my last newsletter, I forgot to mention that the full Asia continent contourlines are updated now, to a good quality standard. They are still too large to be integrated into the maps, but if you really need them, and know how to use them, they are good quality too now. Also the Himalaya contours extract is updated, covering a larger region than before - and slightly better quality. Next Thursday I fly for 5 weeks to Santiago de Chile. Twould be nice to go mountainbiking there (though I will need to rent a mountainbike), so if anyone openmtbmap user lives in or aroung Santiago, I'ld be happy to hear from you. I won't go there for holidays though, I'll be working from a co-working space, and try to push Openstreetmap / Openmtbmap and bicycle/mtb information there a bit. I downloaded Velomap of Peru, Bolivia, Argentina, Uruguay, and Chile. All gave the same error as below. The same error as below. Please input a free FID consisting of a number between 100-9999. Hint: use the same first 4 digits as the srtm_contourline *.img files. 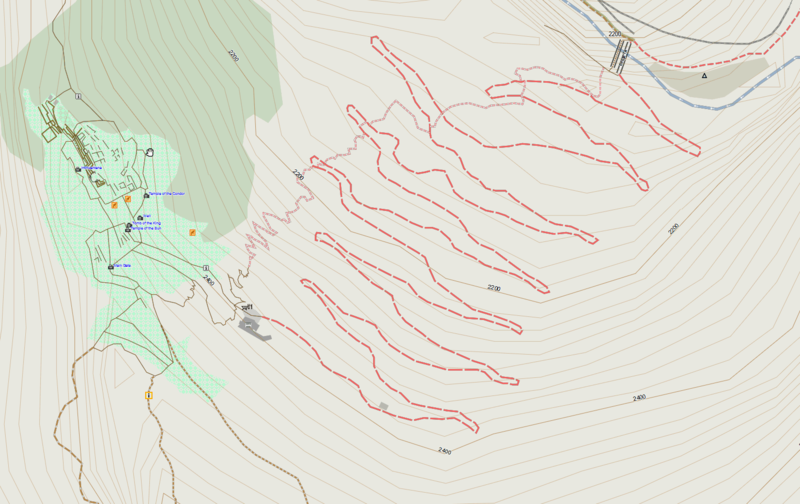 so if maps have the normal maps have 6365, the contourlines 7365, use 7365. Never two mapsets on your GPS may have the same FID. enter help for an explication on howto find a free FID. you can identify the map on your GPS device. Don’t use Umlauts, spaces or symbols like : , ? …. Note that this is slower and needs a lot of free RAM for big maps. ish as swapping RAM is too slow. them – thus may have holes). and place several .IMG into the /garmin folder. e country created with this batch and the same FID as the 6*.img files. Hi Jan, I have seen that error myself some time ago – I will inquire on the mkgmap mailinglist and hope the mkgmap devs find out the error. Solution will need some time though! In the meantime send maps with MapInstall or Mapsource.